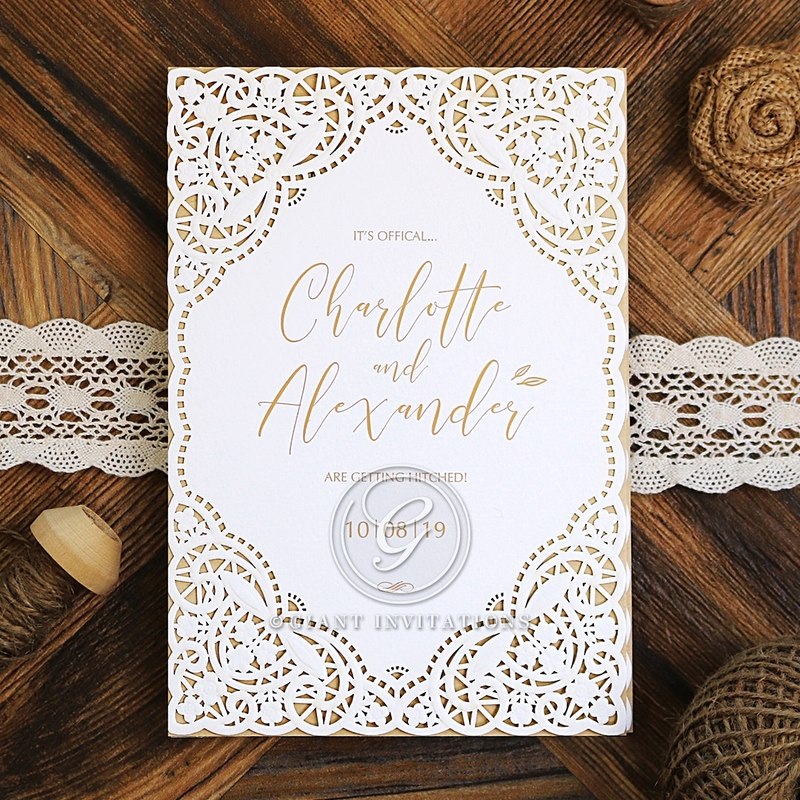 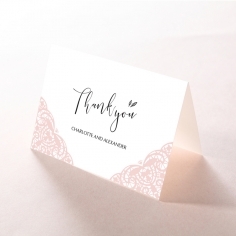 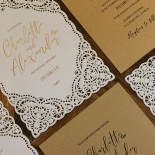 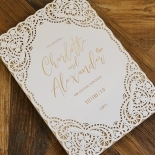 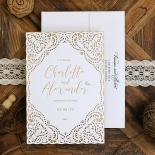 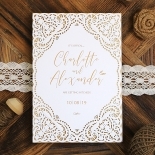 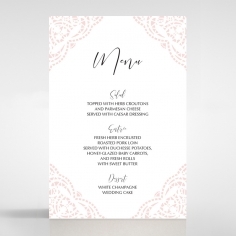 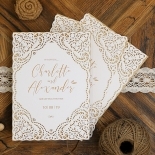 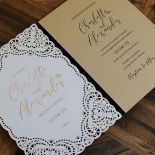 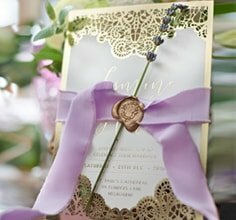 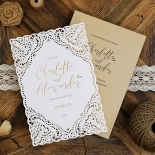 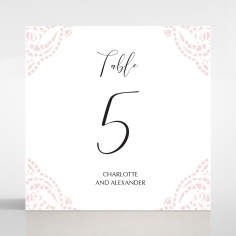 The perfect design to give your guests a taste of the pristine elegance of your wedding day, this simple yet appealing laser cut invite features a stunning cardstock with intricate ornate weaves that form its border. 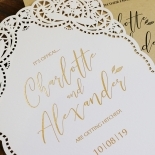 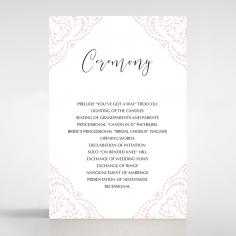 Go ahead and announce your wedding details with bold confidence and added glamour in foiled stamping. 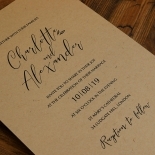 Impress your guests yet again by adding additional details like a simple venue direction using only the best quality kraft paper insert that boasts the latest technological advances in thermal printing, giving your invite the prestige impact of raised black ink. 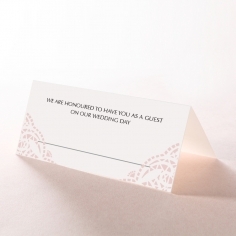 Our designers will be more than happy to assist you choose the best font and wording perfectly suited for you. 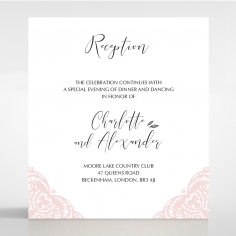 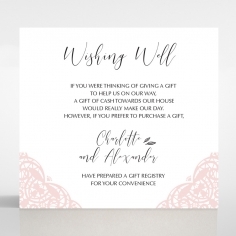 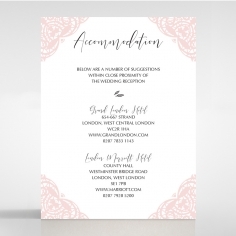 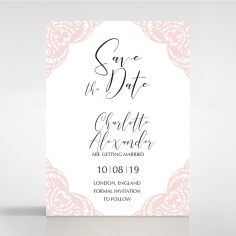 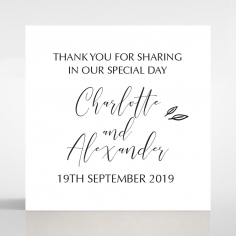 To take this wonderful invite to another level, we have included a satin white envelopes for you to beautifully package and post them to your guests.